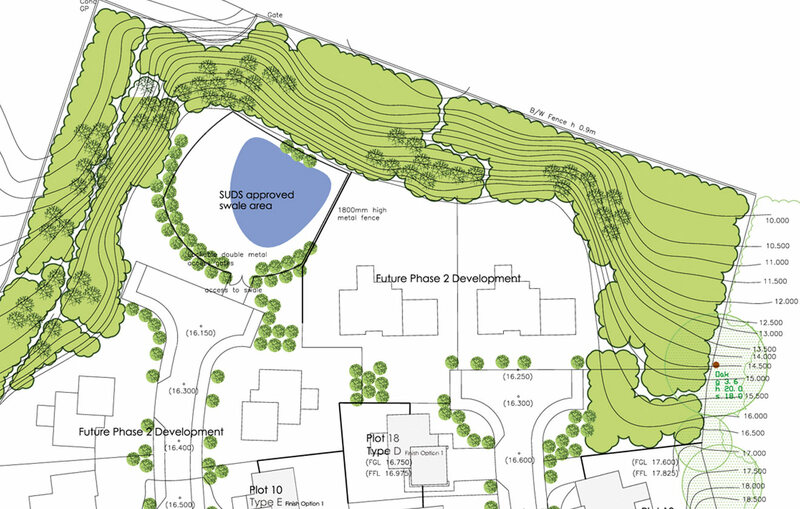 Stephenson Halliday provided landscape design proposals and visualisations for a housing development by Border Homes. The visibility and massing of the development viewed from the Dumfries bypass was a planning issue which was resolved by the presentation of an accurate visualisation of the buildings from this viewpoint. In addition, the design and location of green spaces and play areas within the development was critical to obtaining planning consent.